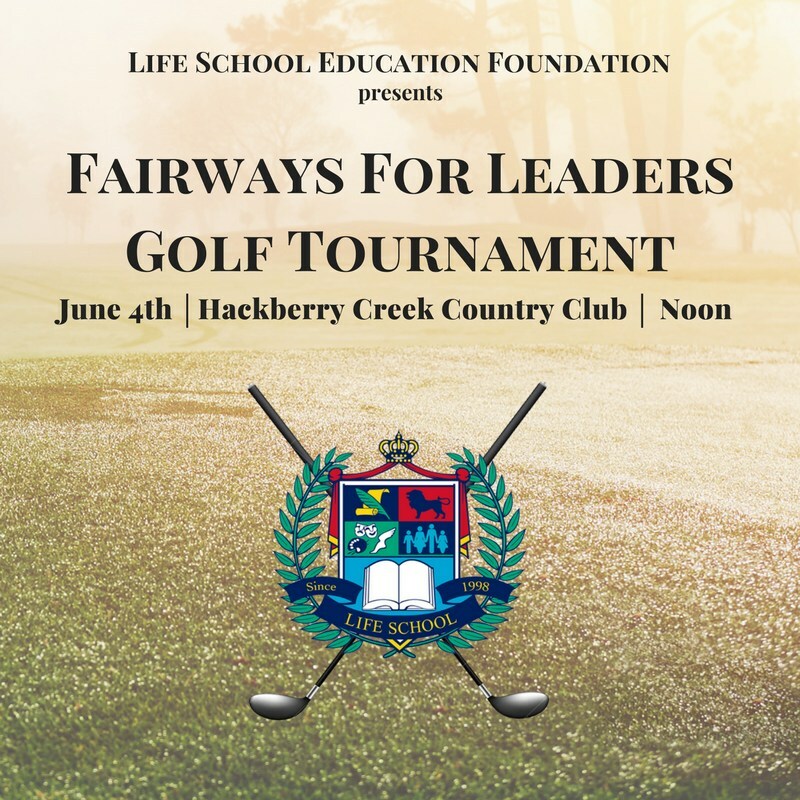 Life School and the Life School Education Foundation is proud to announce the fourth annual Fairways for Leaders Golf Tournament will be held Monday, June 4th, 2018, at Hackberry Creek Country Club in Irving, Texas. The Life School Education Foundation would like to thank all of our current sponsors that have invested in the education of our students. The Fairways for Leaders Golf Tournament continues to focus its fundraising efforts towards the Dr. Tom Wilson Scholarship Fund. Sponsorship opportunities that include a team are available now. To see a complete list of sponsorship opportunities, visit Fairways for Leaders Sponsorship Opportunities Page. Individual registration for this event opens on May 1st, 2018. Entry fee is $150 per player and includes lunch, golf, and dinner. Shotgun start is 12 noon.